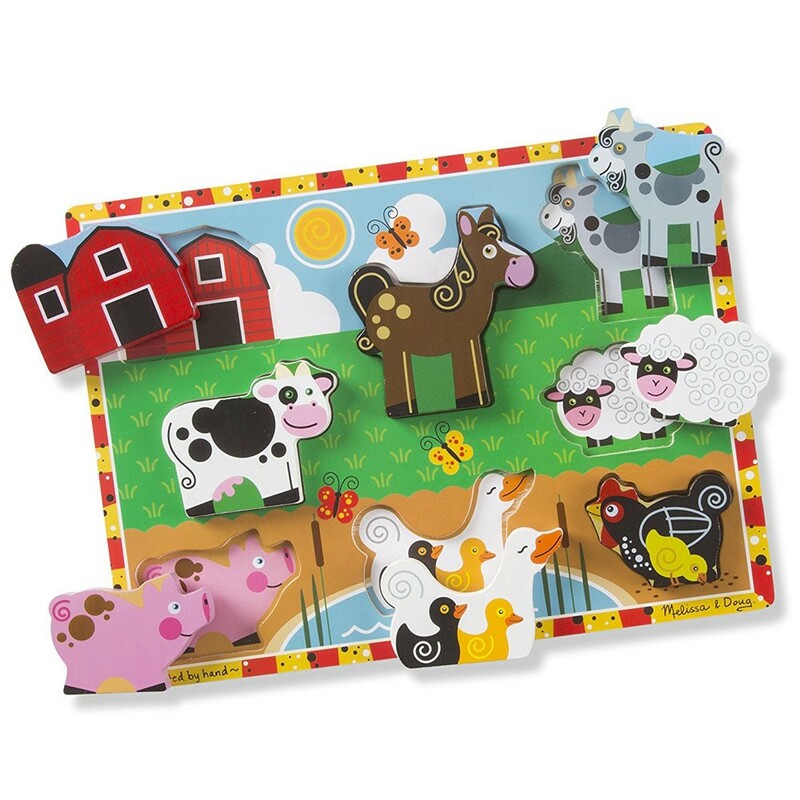 Each of the 8 barnyard animals puzzle pieces are specially designed to exceed all children's safety standards, making the Farm Chunky Puzzle the perfect toy for toddlers! 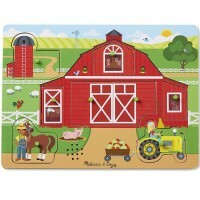 Bring an entire farm scene to life! 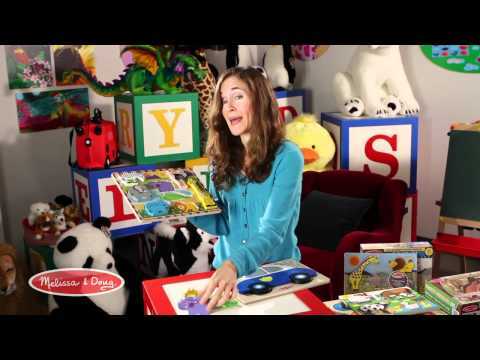 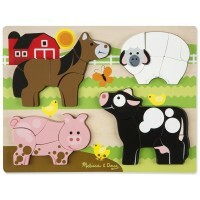 Melissa & Doug's Farm Chunky Wooden Puzzle lets you piece together a vibrant barnyard scene. 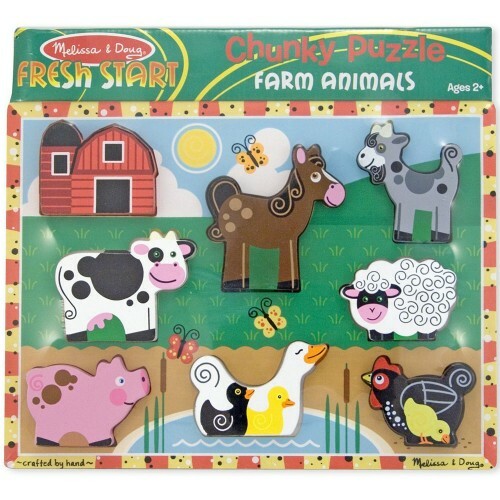 Each chunky wooden puzzle piece has a fun personality of its own and can either be placed carefully on the wooden puzzle board, or stood up and played with as farm figurines. 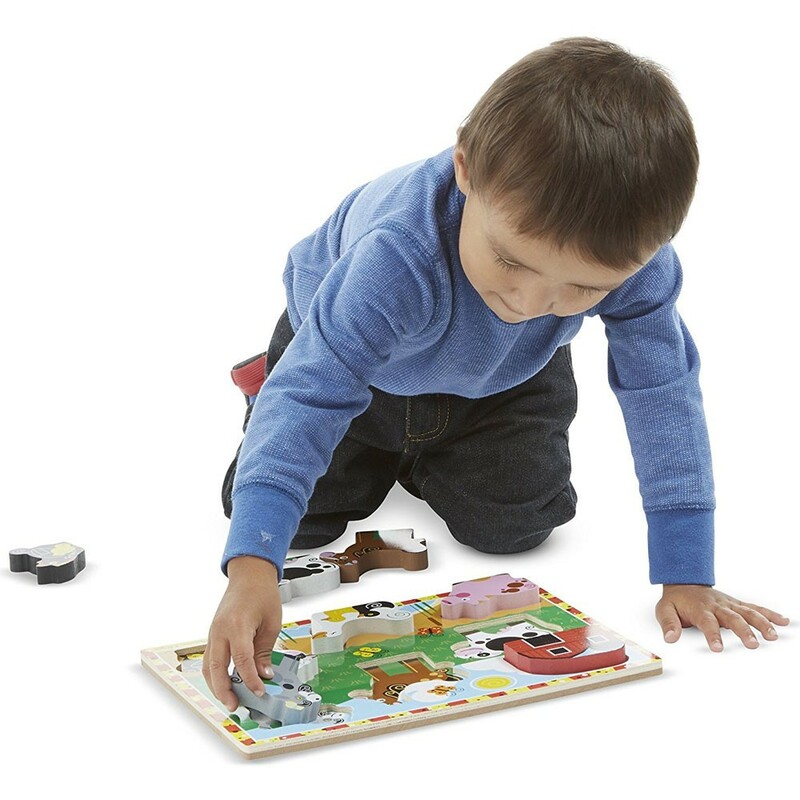 Educational Toys Planet offers this durable hand painted toddler puzzle as a great way to teach problem solving skills and fine motor development. 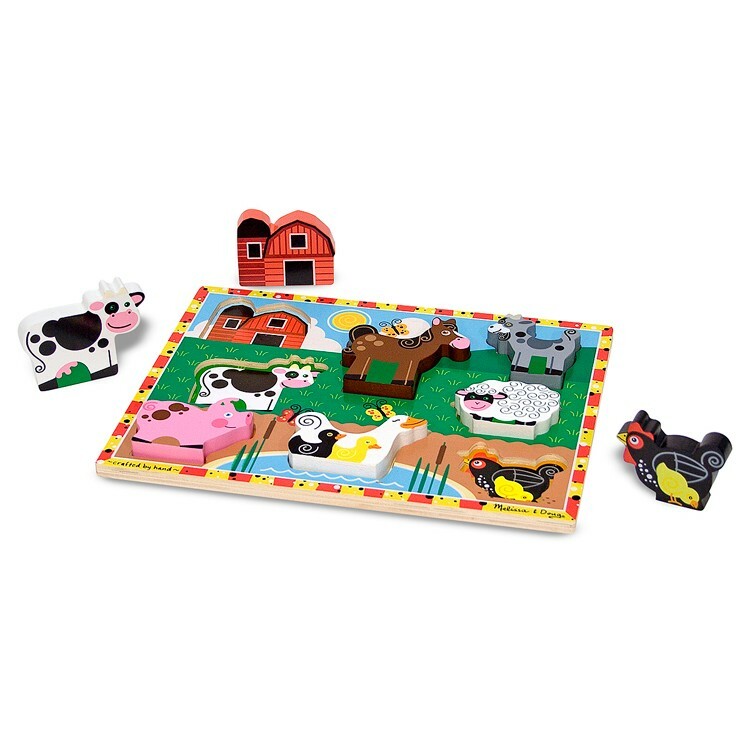 Each of the 8 barnyard critter puzzle pieces are specially designed to exceed all children's safety standards, making the Farm Chunky Wooden Puzzle the perfect toy for even the youngest children! 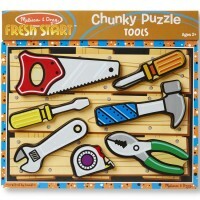 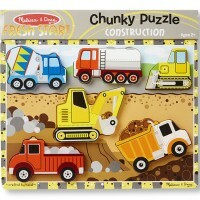 Dimensions of package 0.12" x 0.09" x 0.005"
Write your own review of Farm Chunky Wooden Puzzle. 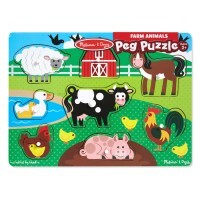 Rating: 5 Puzzle by Jessica G This puzzle is great. 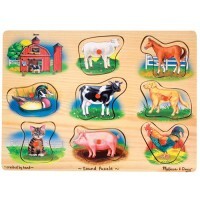 It helps teach farmyard animals as well as spatial reasoning, motor skills and problem solving. 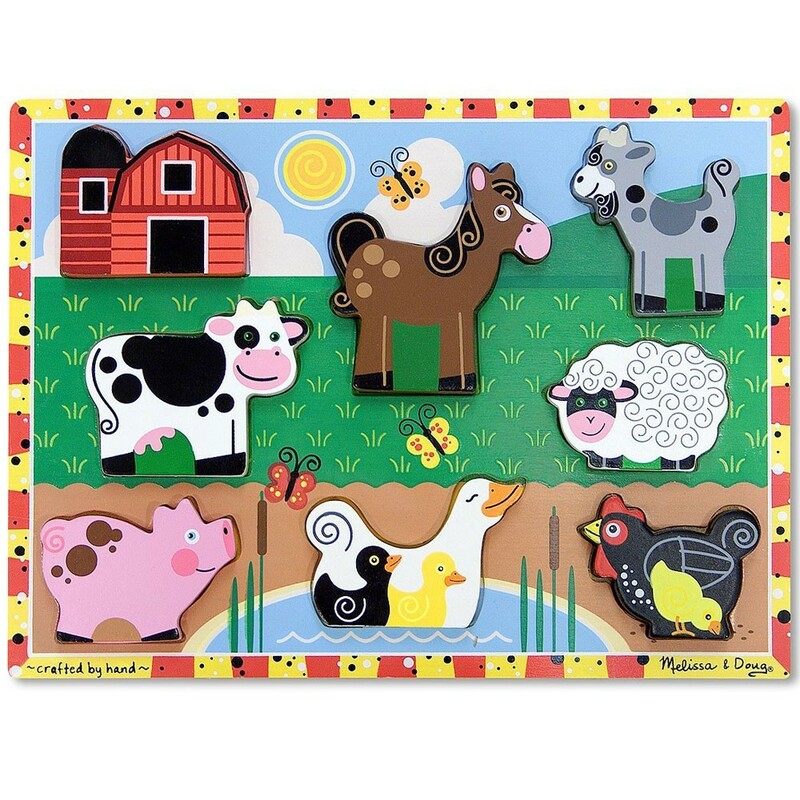 These types of toys are precursors for math and science skills and are what exercise children's brains to get them ready for critical thinking. 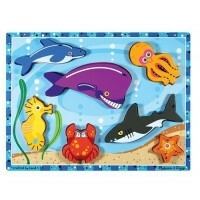 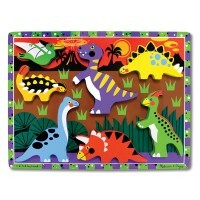 The big pieces, colorful design and fun theme encourage kids to want to play with it over and over again.